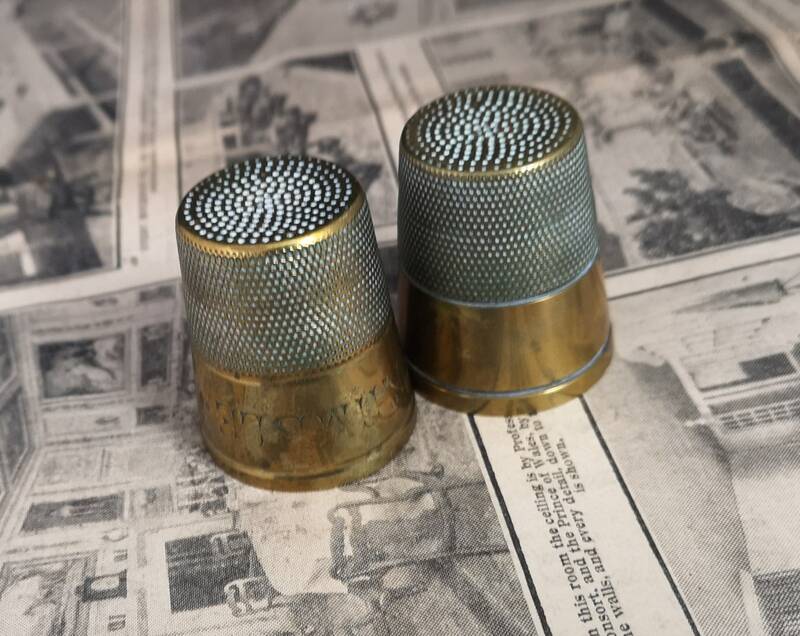 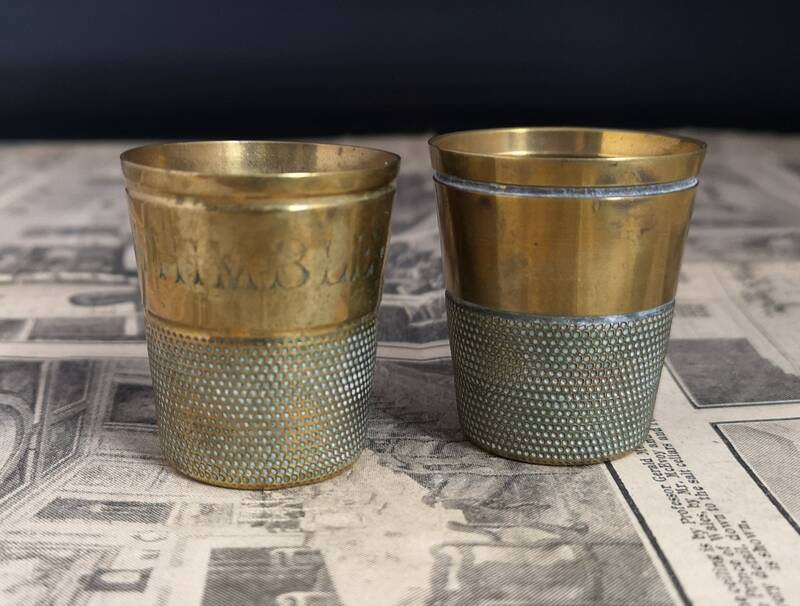 A matching pair of antique brass shot glasses, they are modelled as oversized thimbles. 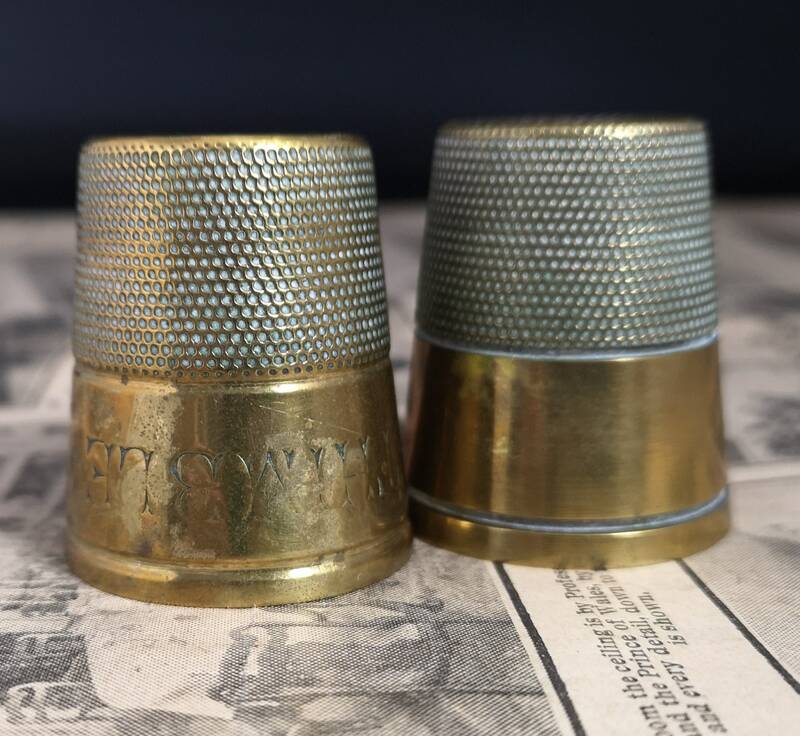 One reads just a thimble full and the other is a plain thimble which slots into the other for ease of transport. 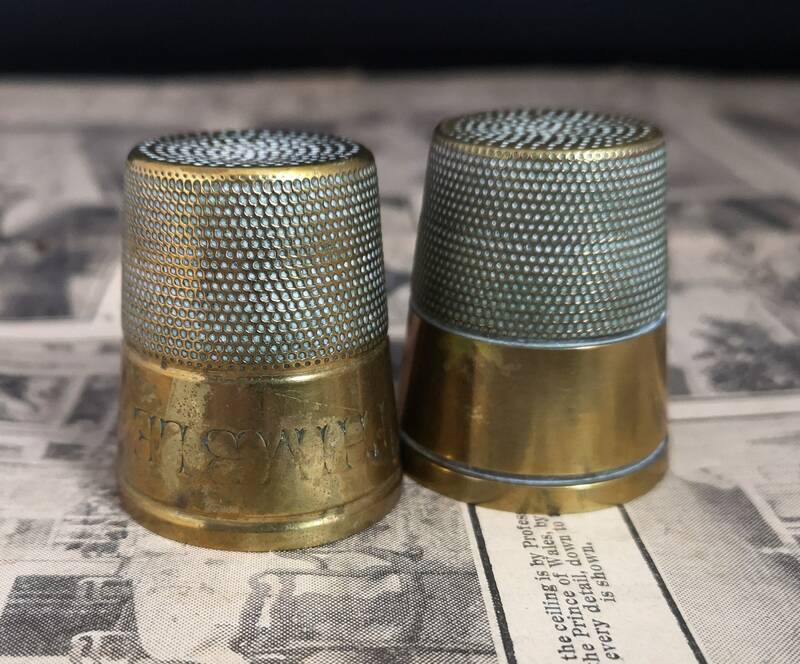 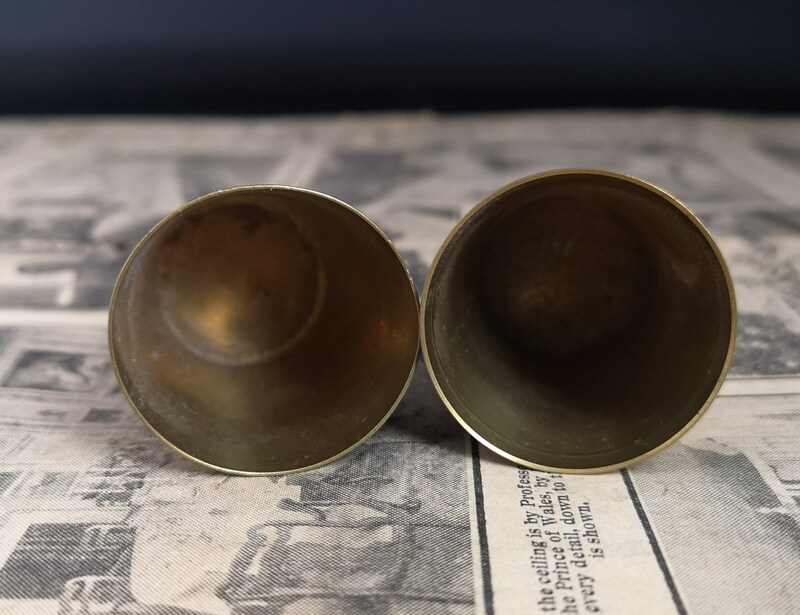 First seen in the late 19th century this pair are Edwardian era, the design was very popular and continued use throughout the early and mid 20th century. 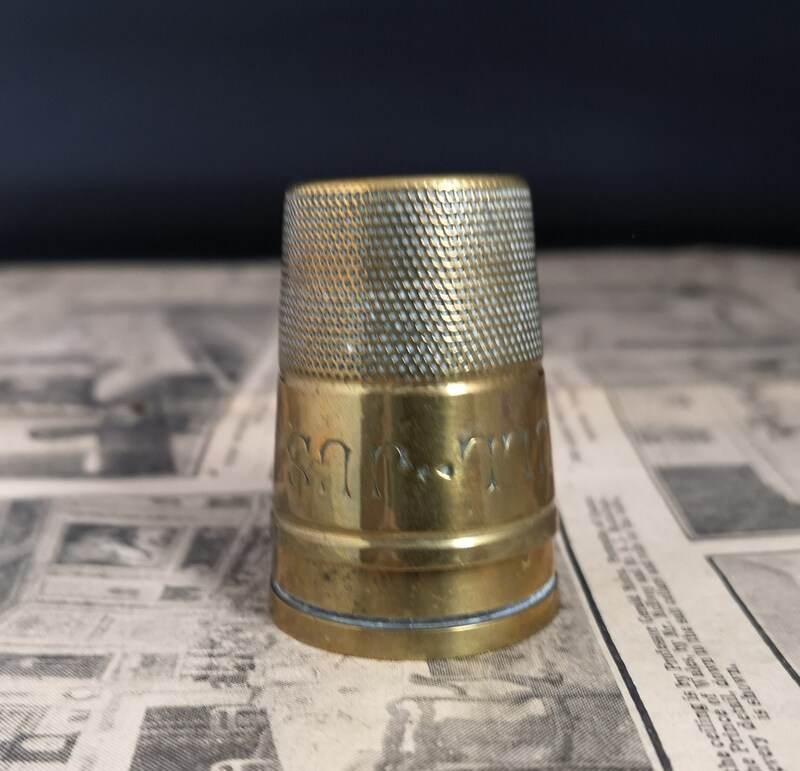 Good antique condition, signs of use and wear, some verdigris to each.